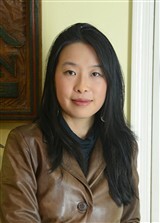 As a young artist, Huijie Zhao, also known as Jessie, has made a distinguished name for herself in the world of art. She has drawn her inspiration from her father, Hongbin Zhao, a renowned artist in China, and has painted alongside him since she was a young girl. On her way to an exemplary career, Ms. Zhao earned a Bachelor of Fine Arts from Monash University in Australia in 2002 and a Master of Fine Arts from RMIT University also in Australia in 2003. Degrees in hand, Ms. Zhao quickly propelled herself forward into her career. She is a freelance artist in Warrandyte South, a suburb of Melbourne, the art director of HZ International Fine Arts in the United States, which she operates with her father, and the vice president of Beijing Da You Quian Jing Painting and Calligraphy Institute in China. Ms. Zhao’s artwork explores the process and the way we see through light, color, and shadow. She works from direct observational experience and then adjusts her work from memory. She says it is a process of communication by perceiving and recording the perceptual world, combing memory and sensation, invention, and observation. It is a continual combination of both intuitive and rational decision-making. She paints portraits, still life, and landscapes with an emphasis on form. In recognition of her achievements, Ms. Zhao has won numerous awards, including the Best Display Award at the 6th China Beijing International Cultural and Creative Industrial Expo in 2011, the People’s Choice Award in the 9th Freedom Art Prize exhibition at Amnesty International in Australia in 2006, and the People’s Choice Award at the Hidden Faces of the Archibald Exhibition the same year. She also earned the most outstanding artist gold medal and first prize at the Dandenong Festival in 2001, first prize from the Stoll Trust Award in 1997, and first prize from the Royal Overseas League in 1996. Although being an artist while raising a family is difficult, she thinks it is more than worth it. Looking forward, she hopes to expand the reach of her art. When Ms. Zhao isn’t working, she enjoys dancing and traveling.